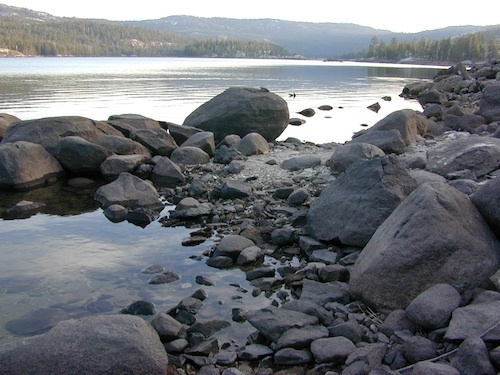 Large, granite, alpine lake in the Central Sierra Nevada Mountains. Abundant trout fishing, swimming, camping, boating, hiking, floating, kayaking, picnic sites, and high altitude backpacking trailheads. Shoreline fishing is just as good as by boat. 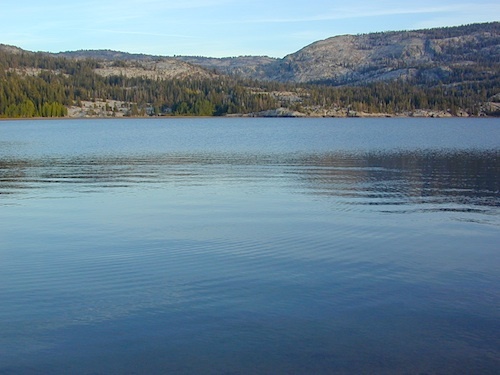 Fishing boats can be rented at Kit Carson Lodge. The high altitude location makes this a winter wonderland half the year w/ snow ski resorts nearby! It is an awesome summertime family vacation destination as well. Fishing is excellent through Autumn months. Campgrounds close up shop in October, generally when the snow starts. High Sierra – Deep snow pack means they will not reopen until May (at the earliest). Carson is major Sierra Pass highway, but it closes for big snows, so always check CalTrans before you make the drive up the mountain. Carson Pass is California State Route 88, which connects the Gold Country (on the western slopes) to the South Lake Tahoe region (on the eastern border), near Nevada. These areas listed below are operated by El Dorado Irrigation District and they do charge a day-use fee for many of the amenities provided. Boat Launch fee? Yep. Parking fee? Maybe. Picnic stop! How much? Eat fast! Ferguson Point is located on the north shore of Silver Lake: 10 picnic tables & vault toilets. Sandy Cove is on NW shore of Silver Lake: Wheel-chair access to lake edge, 5 picnic tables, piped water & vault toilets. Oyster Creek Rest Area, up along Highway 88, 1 mile NE of Silver Lake: 10 picnic tables & vault toilets. Historic Memories: Camp Minkalo, Camp Silverado & Kays Silver Lake Resort are all closed now. 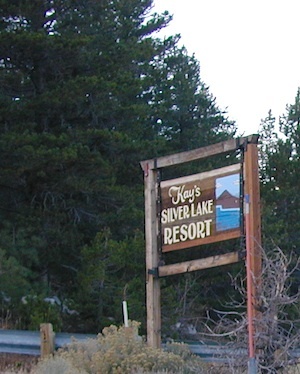 Older lodges, resorts, camps and cabins at Silver Lake were mainly built in the 1920s, while the oldest resort dates back to the mid 1800s. Wow, how cool is that! Much history in this mountain region w/ Kit Carson Emigrant Trail, all stories totally worth exploring.